We can take orders in any currency in our central store via our 2CheckOut / PayPal / Visa / Mastercard shopping cart. 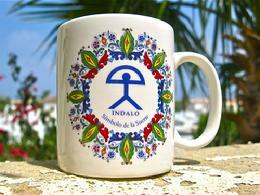 Indalo Art is a subsidiary of Good Luck Gifts and part of the Indalo Camino Gifts group. 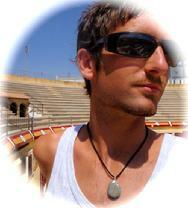 We established our business in Andalucía, Spain, over 10 years ago, and now we have a base in the UK. Our Indalo Prints & Cards are supplied through our Indalo Art shop at Fine Art America and are shipped direct from there in their own packaging. For Indalo Paintings (Originals), please Contact Us to discuss overall price / shipping costs (which will depend on the size and mailing address). How do you know that your order has been received? You will receive a confirmation email. Which countries do we ship to? We ship all over the world. Shipping and handling fees: There is a shipping charge which will be added in the shopping cart depending on quantities/weight (unless you are ordering a Painting, when we will quote you an all inclusive price when you Contact us). If you add an item to your cart, you can then click on the shopping bag to see the shipping. There is no commitment to check-out, nor is it necessary to create an account nor log in to buy anything. USA/Canada: Up to 2 weeks - although often less, but there can be delays with shipments routed through the United States due to air security regulations. And please bear in mind that these times might be a bit longer during busy seasons such as leading up to Christmas when national postal systems are under more pressure. 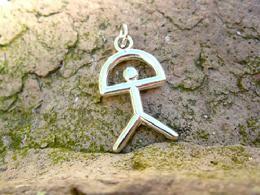 If you need a gift more urgently, please Contact Us .